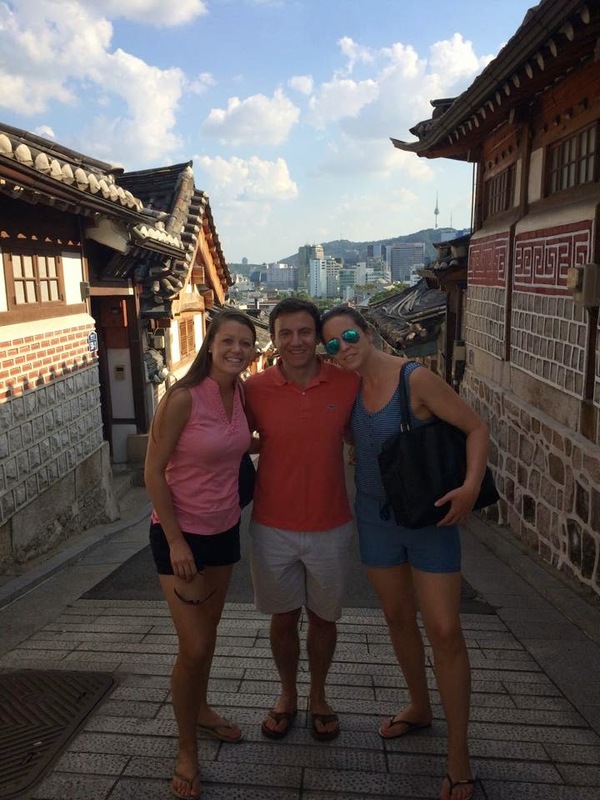 Seoul Adventure: Who to Keep in Touch With? Who to Keep in Touch With? 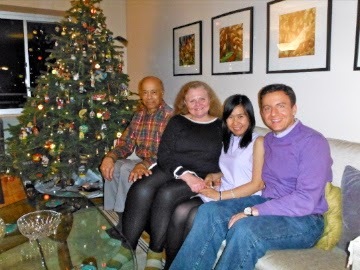 I returned home to the USA for 2 weeks during the Christmas and New Year’s holiday. The trip was my longest home for personal travel since moving to Asia, and it was pretty great. I brought my girlfriend from Vietnam for her first trip to my home country, and filled the time with seeing family and friends between Charlottesville and New York City. End of the year has the usual travel frustrations, and there were also unplanned tourist frustrations with taking my girlfriend around … 40 minute wait to buy tickets for the MoMA, are you kidding me? Now that I am back in Korea — with the cold dark weather and the long daily commutes to the Samsung complex in Suwon — my mind is drifting and I am already planning my next vacations. Ho Chi Minh City in February for the Lunar New Year with my girlfriend, then Singapore in March to see some old friends that I haven’t seen in several years — a colleague from business school and a coworker from my first job. As an Asian expat now for 2 and a half years, with potentially several years of living outside of the USA ahead of me, it strikes me as a bit odd that I keep these people in my web. Granted, there are a lot of people I haven’t seen in years who would bring a big smile to run into again. For example, an old work colleague of mine sent an email several months ago, asking if I could introduce him to Samsung — he is a patent attorney and well aware of my company’s legal struggles. This man lives now in Munich and I hadn’t seen him since 2008. But it was wonderful to hear from him, and when he came to Korea I took him out for BBQ in Seoul — what a great reunion! Another example: in summer of 2012 I went on a tour of several cities in the USA, to catch up with several people and say “goodbye for now”. The unanimous response from everyone I saw: “It was great to see you!” Certainly I was glad that I had Facebook as an encyclopedia to track where everyone had moved to. But, as life goes on and I continue to meet new people and link them on the “friends” list, I have to wonder if other people naturally fall off. Some people on Facebook brag about how they have gone through a spring cleaning of their friends — and how I survived the cut! — but I have never had the patience for this. I have tried. Inevitably, I feel I am making value judgments about people in my friends list and I am almost unable to distinguish non-friends from almost-friends. And so, I continue to hoard these people digitally, though most of them will never pass through Seoul just as I will never pass through Wilmington North Carolina or Essex Junction Vermont or Bergen Norway. What do these people add to my life, really? And how could I really keep in touch with all of them? It would be exhausting! Malcolm Gladwell and other have written about the “rule of 150” — the idea (with science backing it) that a human can only realistically claim to maintain 150 connections at any point in time — and my Facebook and LinkedIn lists are several multiples above this number. I guess I have some feeling that one day these people will be “useful” to know, whatever that might mean, and maybe it will be good to meet up with them again. Back in prehistoric times … by which, I mean 20 years ago! 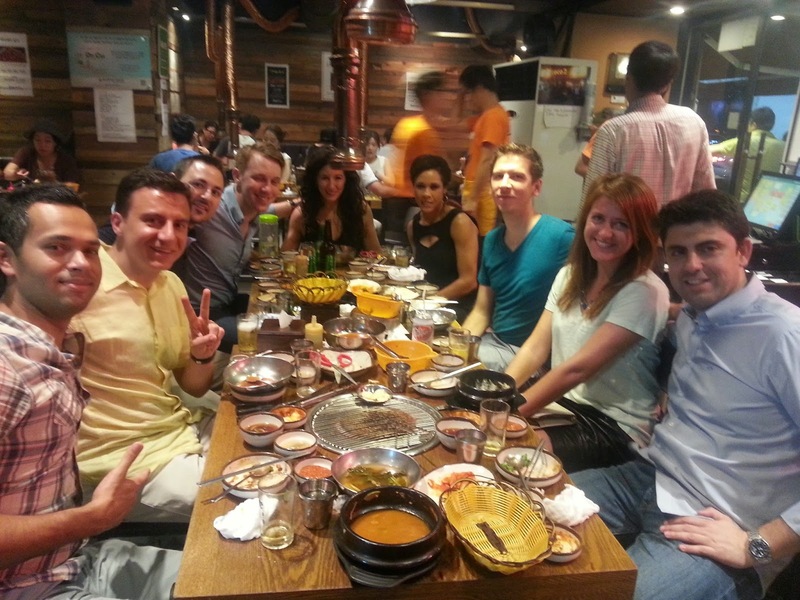 … a young man moving to South Korea like me would have had a very different experience. Probably the only sound of familiar voices would have been expensive calls home … with a calling card … to my parents. A few others would receive hand-written letters, which would take 1-2 weeks to cross the ocean. Maybe, maybe, I would have kept touch with 20 people or so. And that’s it! Everyone else would have been detached … those hometown friends and college classmates and B-school classmates and old coworkers and random friends of friends who I may have met at a party once upon a time. Certainly I would have been forced to integrate more thoroughly into Korean culture. I probably would have been more homesick. I wouldn’t know about all the marriages and babies or see the latest football scores — honestly, it would have been impossible to cling onto American life aside from the little conversations on the phone and the letters and photos which people would mail me. A modern expat lives in a different world indeed. I see video of my girlfriend in Ho Chi Minh City almost every night. I send news articles to my sister in San Francisco, or maybe receive snarky messages when she has had just a little too much to drink. I watch NFL highlights on Monday nights when I return home from work — can even follow the live gameplay on Twitter when I ride the bus to work in the morning! An expat now can remain connected to old things, old ideas and old ways of thinking like never before. 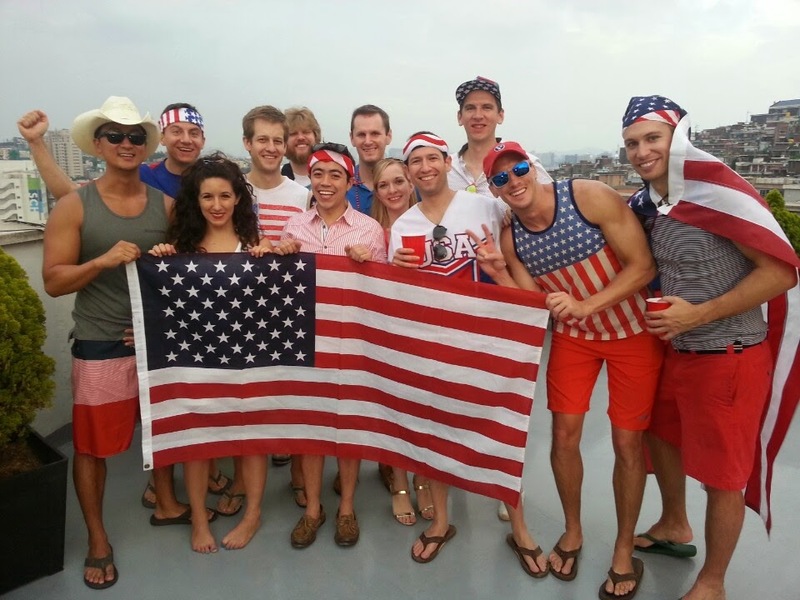 Celebrating US Flag Day in Seoul last summer was great fun – but how many of these people will I be in touch with in 5 years? Yet there remains no substitute for face-to-face contact. Hence why it was wonderful last month to eat a hamburger with my old B-school roommate in Charlottesville. Or great to hug my mom. Or to eat brunch with my old running partner. Maybe in another 20 years technology will have invented a way to simulate the touch of another person far away or communicate with someone who is asleep 10 time zones away. For now, however, being an expat still involves great loss. I have lost track of the number of weddings that I have missed while living in Asia — at least a dozen — and I will never meet the babies of many of my friends from my former life. Once upon a time, humans all lived in villages and kept the same group of friends for most of their lives. Some people still live this way, but for a large number of people in this globalizing world of ours these times are gone forever. My old contacts from my old lives in Milwaukee, in Boston, in Washington DC, in Charlottesville, now in Seoul and in the future wherever I go next … who stays in my life and who fades away?